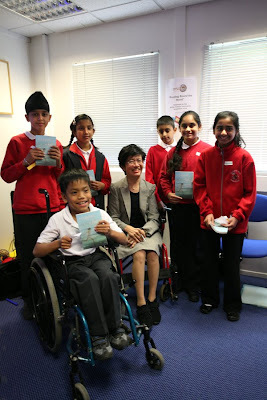 Award-winning author, Jane Vejjajiva from Thailand took part in two days of workshops on 22 and 23 June as part of the ‘Reading Round the World’ programme run by Outside In, supported by the British Airways Community Investment Programme. Over a hundred children from three Hounslow schools all had the opportunity to take an imaginary trip to Jane’s homeland at the British Airways Community Learning Centre near Heathrow where they had a multi-sensory experience of Thailand through Jane’s novel The Happiness of Kati. The ‘Reading Round the World’ project is the brainchild of Outside In (the UK organisation dedicated to promoting and exploring world literature), which is bringing a host of international authors and illustrators to the UK during 2009.Reading Round the World’ is funded by the Arts Council of England, with additional partnership funding including the British Airways Community Investment Programme and The Royal Embassy of Thailand. Jane was born in 1963 in London. Her family returned to Thailand when she was three and she grew up in Bangkok. Having cerebral palsy from birth limited her movements and books opened a whole new imaginary world to her. The Happiness of Kati was Jane’s first novel for which she won the S.E.A. (Southeast Asian) Write Award in 2006It has become a bestseller with more than two hundred thousand copies sold in Thailand and has been translated into English, Japanese, Korean, German, Spanish, Italian and French. The Happiness of Kati has also been made into a feature film which was released in January 2009. The winner of the fourth "Read it Again!" Cambridgeshire Children's Picture Book Award is "Evil Weasel" by Hannah Shaw. Read it Again! is a unique award for a first time picture book where the words and pictures are the work of one individual. It is organized by Cambridgeshire Libraries and was first launched in 2006 This year over 8,000 children from over 70 schools and Children's Reading Groups in Cambridgeshire participated, reading, discussing and voting for their favourite book from a shortlist of 8 outstanding titles. Around 300 children from 16 local schools attended the award presentation ceremony at The Burgess Hall, St Ives on Tuesday 16th June and had the opportunity to meet 6 of the shortlisted authors, one of whom had travelled from Amsterdam to attend the event. Author/illustrator Gillian McClure praised the award as a valuable means of encouraging and promoting new talent. There was great excitement as she opened an "Oscars style" golden envelope to reveal that "Evil Weasel" was the winner. A huge cheer followed. Hannah received a clock made by local artist and clockmaker Greg Ryder and each of the other finalists received an engraved paperweight. Siobhan Dowd has been posthumously awarded the 2009 CILIP Carnegie Medal for her fourth and final novel, Bog Child (David Fickling Books). The CILIP Greenaway Medal was awarded to Catherine Rayner for Harris Finds his Feet (Little Tiger Press). The awards, which are selected by librarians, were announced at a presentation at BAFTA in Piccadilly, central London, today (25th June). Dowd died in 2007, aged 47, and her Carnegie Medal was collected by her editor David Fickling of David Fickling Books. He praised the "sheer effortless brilliance" of Dowd’s writing and commended the Carnegie judges for granting the award posthumously. Catherine Rayner, the Greenaway winner, had only one other title published before her winning book. Her début title, Augustus and His Smile, was shortlisted for the same prize in 2007. In Harris Finds His Feet, Harris the hare goes out into the world with his grandad, learning about the joys of growing up. During an acceptance speech on behalf of Dowd, Fickling hit out at the cuts facing library provision, one of the main routes for children to access books. He said: "Our library culture is at the basis of our whole literary culture. This is the culture that produced a book industry that is the envy of the world. 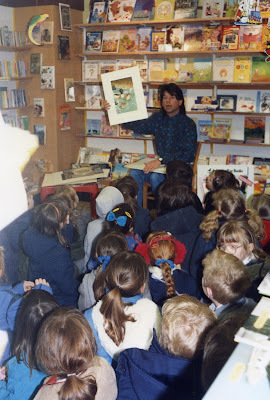 To a great extent, the economies of the children’s publishing business are based on years of brilliant library support. But now we are letting it slip away and it is time to wake up and realise what is going on. "Libraries are struggling to survive on less and less funding and children have access to fewer books. Children need stories. Siobhan believed that stories help children to think and if they can think, then they are free." Royalties from all Dowd’s sales will go to the Siobhan Dowd Trust, which has been set up to help disadvantaged children in care who do not have access to books. Details of the trust’s work will be announced in the autumn. Fickling added: "Siobhan hoped that setting up this trust would provide practical support in UK and Irish communities by getting books into places where there are none. She saw the trust as the seed of a big movement to make sure that book support is provided where it is wanted. It is about offering open possibilities, new life and excitement to children by making books accessible." Dowd came to writing late in life when she returned to the UK having spent several years in New York as the programme director of American PEN’s Freedom to Write Committee. Fickling said: "I first heard of her in 2004 and within three years she had delivered four books, each one different, each one remarkable." report by C Horne The Bookseller. The summer edition of Carousel, which is just published, contains an appraisal of Siobhan Dowd's work. And no, we didn't know ahead that she had won! 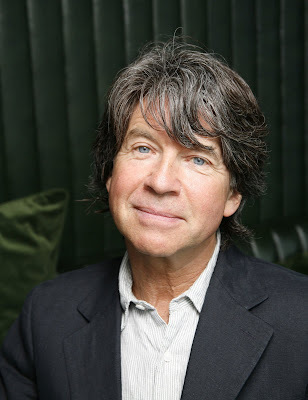 Author and illustrator Anthony Browne is the new Children's Laureate. Anthony - who has been awarded just about every prize going -, books include Gorilla, Zoo and the Willy series of adventures, takes over from poet Michael Rosen. The post is awarded once every two years to an eminent children's writer or illustrator to celebrate outstanding achievement in their field. 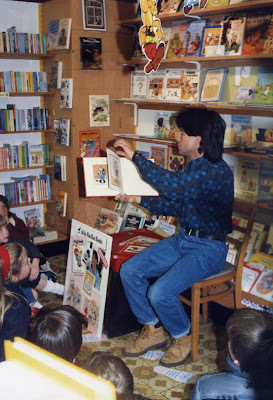 He said he wanted to encourage more children to enjoy reading and books, particularly picture books. "Picture books are for everybody at any age, not books to be left behind as we grow older. "The best ones leave a tantalising gap between the pictures and the words, a gap that is filled by the reader's imagination, adding so much to the excitement of reading a book. "Sometimes I hear parents encouraging their children to read what they call 'proper books' (books without pictures), at an earlier and earlier age. "This makes me sad, as picture books are perfect for sharing, and not just with the youngest children. "As a father, I understand the importance of the bond that develops through reading picture books with your child. "We have in Britain some of the best picture book makers in the world, and I want to see their books appreciated for what they are - works of art," he added. He becomes the sixth person to hold the position, and was presented with his Children's Laureate Medal and a £15,000 bursary by former Poet Laureate Andrew Motion at a ceremony in London on Tuesday. The venue, the Paramount Club on top of Centre Point, had great views across London but proved completely impossible for conversation - dreadful acoustics and everyone felt they had to shout. However the speeches were miked and models of coherent brevity! Everyone present enjoyed the comment by Lord Chris Smith that it was "very nice not to be an MP these days". He headed the appropriate government department ten years ago when the Laureate was set up and, modestly, said he was glad to help in a small way and that the post was an excellent idea. Julia Eccleshare (chair of the Laureate panel) commented that Michael Rosen's energy "hit them with a blinding flash and an incredible debt of gratude is due to him". Michael Rosen said that "now is a vital stage in the history of the book...books let us reflect on who we are and where we are going...worksheets (in schools too often replacing books) are discrimatory and deny millions their basic rights" and he concluded by citing two project to watch and support, namely the Campaign for the Book and Just Read. Andrew Motion said: "Anthony Browne is an absolutely distinctive and extraordinarily skilful artist - someone whose work entrances children, and has influenced an entire generation of illustrators. His pictures and stories give deep and immediate pleasures, while also insisting that we - children and adults - return to them. And when we return, we have a gradually expanding sense of discovery." The award is now funded by the Museums, Libraries and Archives Council (MLA) and administered by Booktrust, and sponsored by Waterstone's and further supported by a wide range of publishers. Viv Bird, chief executive of Booktrust said: "The role of the Children's Laureate is that of ambassador and champion for children's literature. As managers of the award, Booktrust has been delighted with the enthusiasm and contribution made by each of the Laureates, and welcomes Anthony's appointment wholeheartedly." Anthony included children on the day, firstly by playing the Shape Game with them (and I think we'll be hearing a lot about that in the future) and secondly by staying and talking to them after the formal part of the proceeding finished. That seems typical of the man. I well remember biting my nails as he passed round his artwork at a session in the Hungate Bookshop, Norwich for the current project at the time - Alice in Wonderland (see pictures at the top of the article). Of course his trust in his young audience was completely justified. Good luck to him from all of us at Carousel. And you can read an editorial from him in the next issue due out next month. Former journalist and editor Sophie McKenzie has scooped the overall prize in the prestigious Red House Children’s Book Award 2009 for her thrilling teen novel, Blood Ties. It is second time lucky for McKenzie, as her novel, Girl, Missing, won the older readers’ category in 2007. Blood Ties (Simon and Schuster) won both the older readers’ category and overall prizes in the award, which is owned and co-ordinated by the Federation of Children’s Book Groups. The winning novel is a gripping thriller that explores issues of genetic engineering and personal identity. McKenzie learned of her win at a glittering awards luncheon at the Birmingham Botanical Gardens yesterday (Saturday) which was attended by more than 200 people, including 80 children from across the country, all of whom were involved in the voting. Stunned McKenzie, who won a silver trophy, said she was honoured to win this unique literary prize. “Blood Ties is my favourite book so I am completely overwhelmed that the readers have chosen it as theirs, too,” she said. “I am delighted and it is a huge honour, but this isn’t really about an award, fantastic though it is to have won it, it is a celebration of reading. It’s stories above everything. Two other category winners in the 29th annual award were also announced at the event: Allan Ahlberg’s beautiful picture book The Pencil (Walker), illustrated by Bruce Ingman, has taken the younger children category, while Kes Gray’s fun story, Daisy and the Trouble with Zoos (Random House) has clinched the younger readers’ category. John Huddy says: "We ease from spring into summer with no less than three specialised exhibitions here at the gallery in Bury St.
We are delighted to host for the first time in the Britain Shaun Tan, rising star from Western Australia. Original artwork and a selection of limited giclée editions are on view on the ground floor. Opposite and complementing Shaun’s work is that of the unfailing fabulous Angela Barrett. A small selection of her original work for the recently published Sylvie and the Songman was featured in our winter show and we are now pleased to exhibit more of these exquisite paintings, temptingly priced from £250 to £1550. Short-listed for this year’s Kate Greenaway Award for The Snow Goose we congratulate Angela on reaching the final selection and wish her every success in winning this prestigious award; woefully overdue. Following the success of John Vernon Lord’s exhibit of Alice’s Adventures in Wonderland, we have continued to show this work on our first floor gallery for those who were unable to attend our May event. A selection of the limited edition books published by Artists’ Choice Editions is still available."